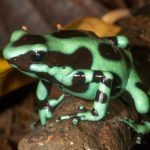 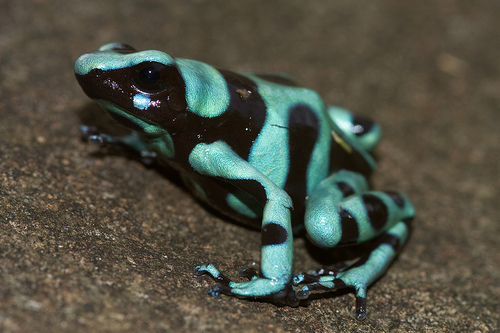 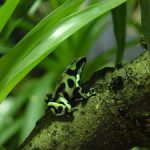 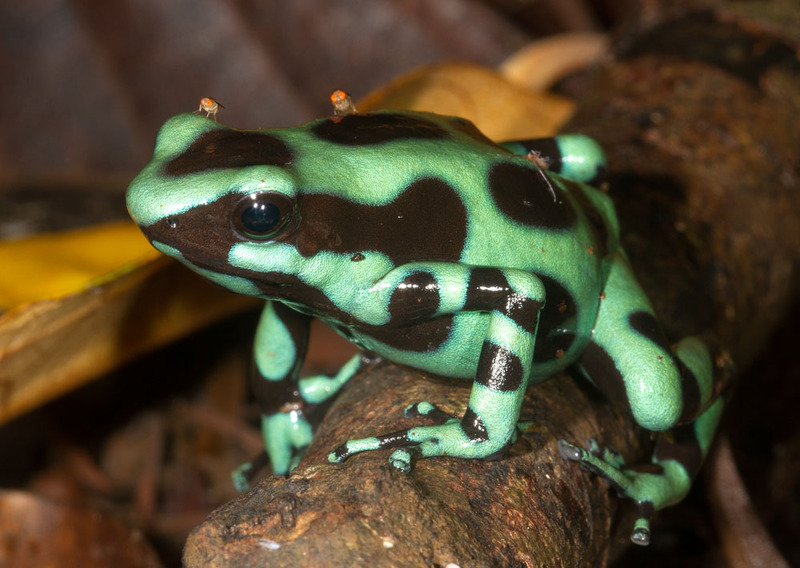 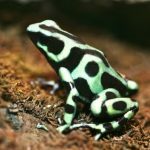 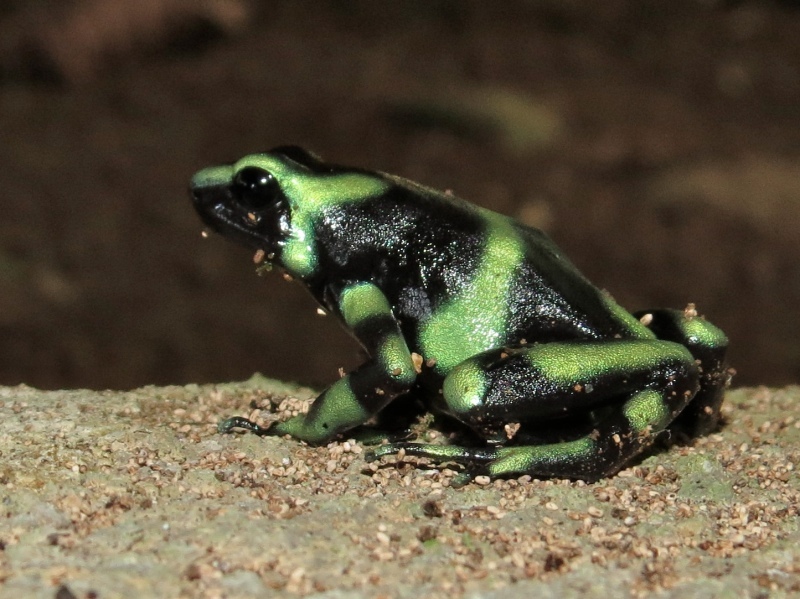 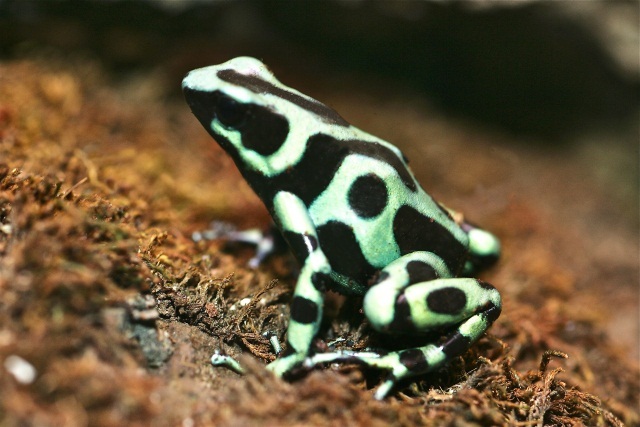 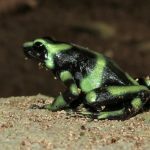 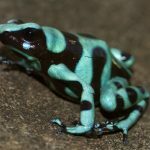 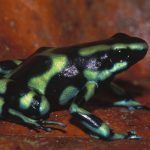 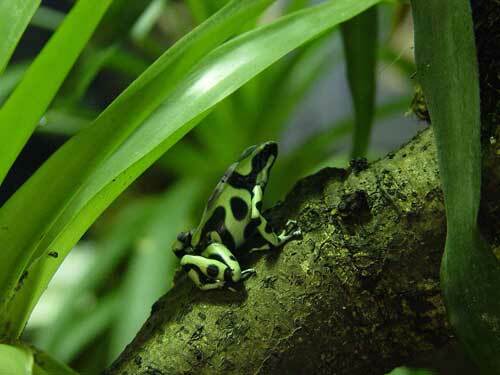 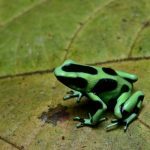 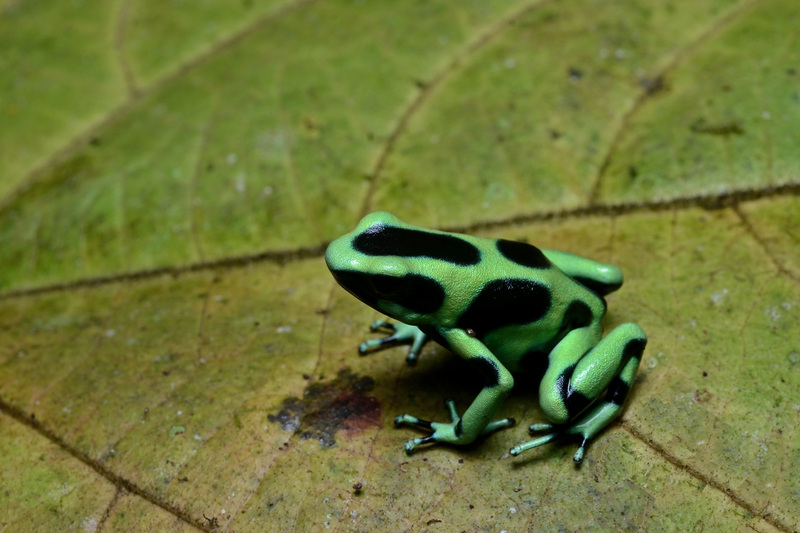 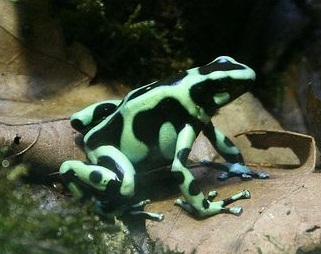 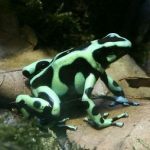 Green and black poison dart frog is a species of frog found in Central America and northwestern parts of South America. 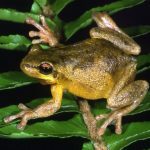 The frog has also been introduced to Hawaii. 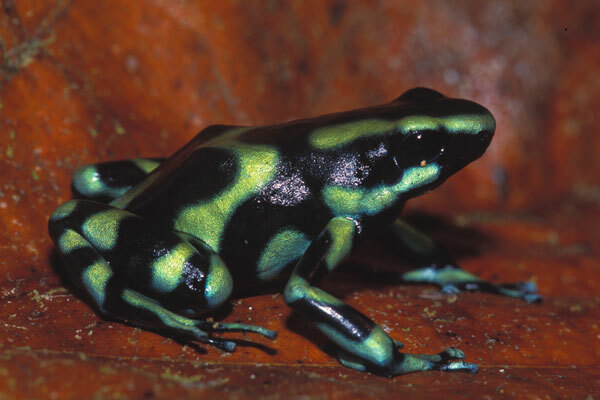 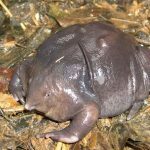 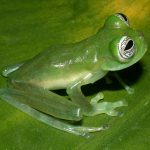 The semiarboreal frog is highly toxic.